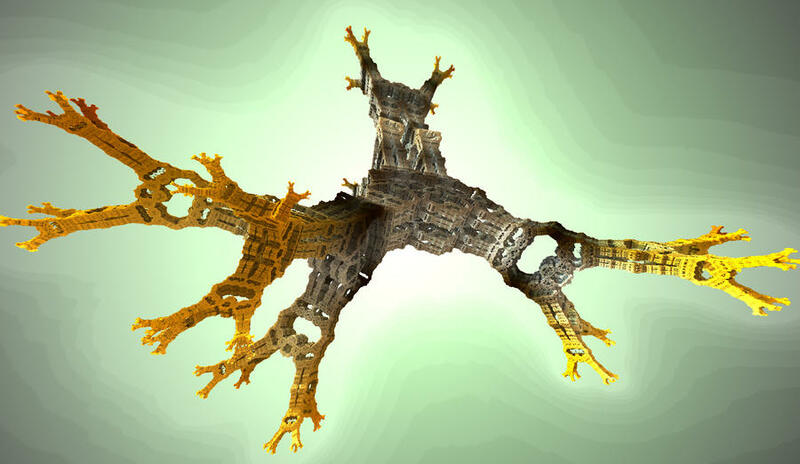 I just got this mandelbulb variation by modifying Fragmentarium's formula. Instead of converting to polar, multiplying both angles and then converting back to cartesian, I did it in two parts: get polar, first multiply theta, convert back to cartesian and then the same with the resulting phi. Maybe it could be optimized, I just made it in an easy and intuitive way. but the method you described would not lead to new results, because converting it back to cartesian and then again to polar, hmm, there might be going on some folding because of those hairy balls ? think so ... i mean it lies in the angles, have you a number example for what the ( between ) results are with and without your method ? thx for posting the frag, interesting, it is a normal power8 bulb and a somehow flattened out mandelbrot, isnt it interesting that just in the lower powers new shapes emerge ? I just realized that I hijacked this thread! Sorry everyone! It's not a normal power 8 I think, but yes, it has more unique features on the lower powers. If I'm not wrong, when changing theta and then getting the new coordinates, phi is affected and this is why the result is different. Another way of getting some weird but interesting results, is using different scaling factors for both angles and the radius. It also works better with lower powers. In the following image is a pow 2 mandelbulb with one of the angles multiplied by 4 and the other by 3 (power x 2, and power x 1.5). Also the radius is scaled by half. I attached the Fragmentarium file. AF1, AF2, and RF parameters are the scaling factors. All these images looks very interesting Kali! Following this thread from now on. Some of those look like my old power2 formula that constrains signs in specific ways. Was actually thinking of letting Jesse and Darkbeam know about the cosine specific function that can be used to modify specific REAL portion of cosine signs (signs as in +/-) in fractals without resulting in discontinuity. 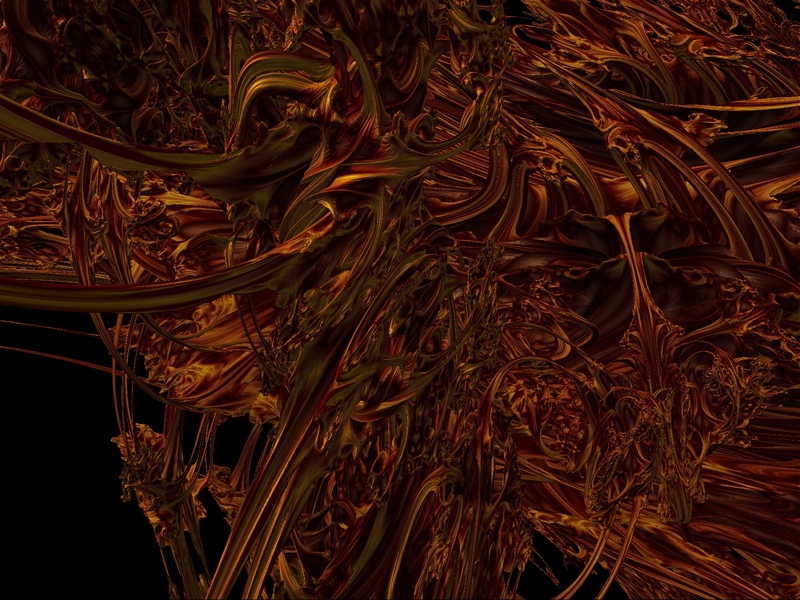 Used it in a couple old formulas (mag vs. xyz and "3d mandelbrot attempt")... anyways. Edited to add this image of a 1,1,1 Julia of that type. Nothing great, click on image to enlarge if you want.